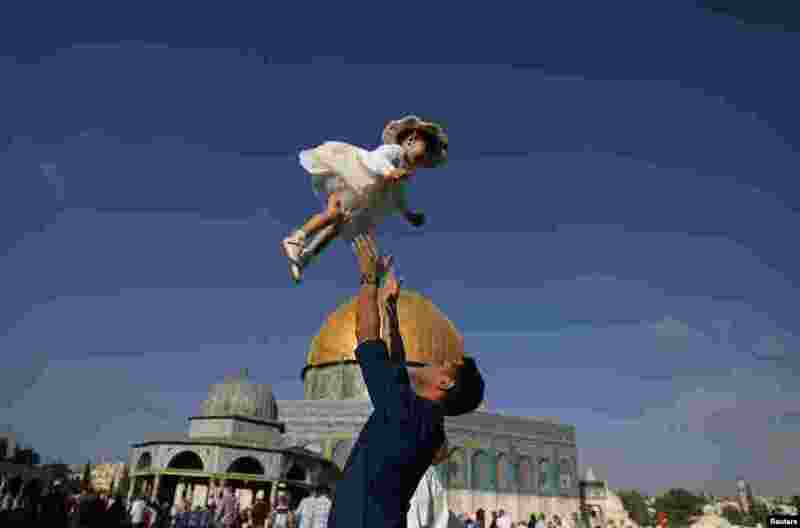 1 A Palestinian man throws his child in the air following morning prayers marking the first day of Eid al-Adha celebrations, on the compound known to Muslims as al-Haram al-Sharif and to Jews as Temple Mount, in Jerusalem's Old City. 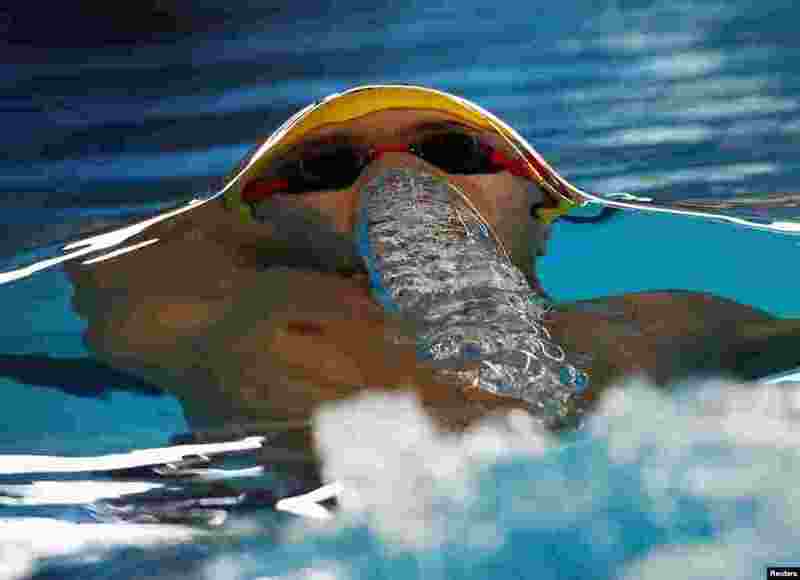 2 Xu Jiayu of China competes in the men's 50m backstroke heats swimming event during the 2018 Asian Games in Jakarta, Indonesia. 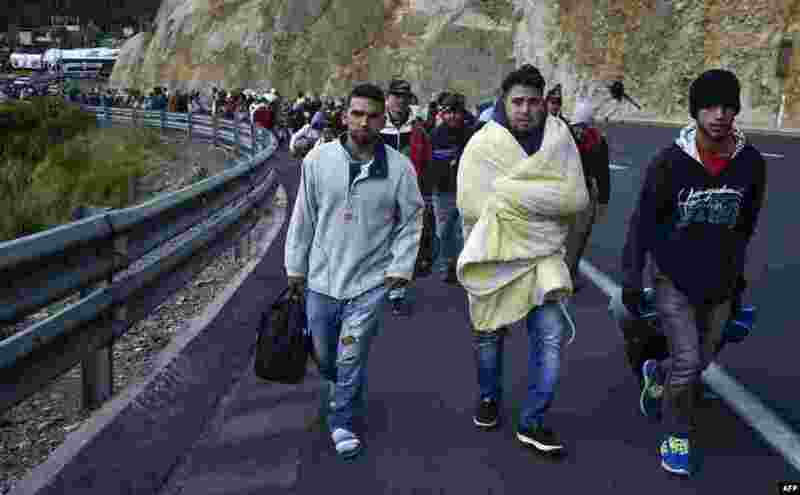 3 Venezuelans heading to Peru walk along the Panamerican highway in Tulcan, Ecuador, after crossing from Colombia. Ecuador announced that Venezuelans entering the country would need to show passports from Aug. 18 onwards, a document many are not carrying. And Peru followed suit, announcing an identical measure due to begin on Aug. 25. 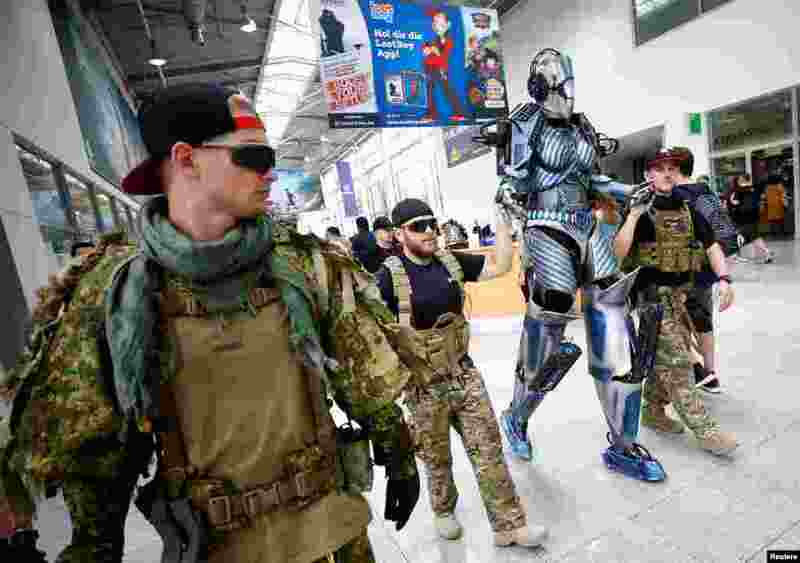 4 Cosplayers are seen during the media day of the world's largest computer games fair, Gamescom, in Cologne, Germany.